B&B's Jacob Young and Wife Christen Celebrate 10 Years of Marriage! On May 13, 2007 'The Bold and the Beautiful' actor Jacob Young [Rick Forrester] and his wife and model Christen Young began their happily ever after life. In April, 2006 they announced their engagement and one year later they got married at the Westmount Country Club in Woodland Park, New Jersey. Together they have 3 children and live a very loving and fun-filled life. On May 13, 2017 they will officially celebrate their 10th wedding anniversary. Jacob and Christen have already begun the anniversary festivities by having lunch together. He shared a beautiful picture of he and his wife and captioned: "Having lunch with Mrs. Young. It's not hard to believe why we have been married for 10 years. She's my best friend. Thanks for filling this heart with so much love. You have made this life so much more enjoyable. I would certainly not be as whole of a person with out you. 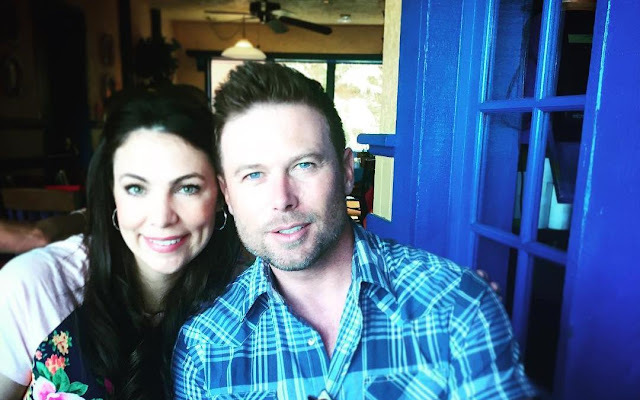 You are my rock @christenyoung4 #anniversary#10years #lovers #friends"
Soap Opera News: B&B's Jacob Young and Wife Christen Celebrate 10 Years of Marriage!